When people typically think of New York, New York City almost always is what comes to mind. It’s totally understandable. After all, what isn’t unique and memorable about New York? The United States’ unofficial capital has some of the most iconic attractions in the world, and while a trip to the Statue of Liberty, Empire State Building, and a few rides on the New York Metro can technically count as a weekend getaway to New York, there is so much more to experience in the state. Upstate New York, also known as every single part of New York that isn’t New York City, has dozens of great cities and sites that are totally worth exploring. Even if you only have a few days to check out Upstate New York, there are still tons of getaway spots you can drive to that will make your weekend exponentially more exciting. Approximately 85 miles north of New York City is Poughkeepsie, New York. Located in New York’s Hudson Valley, Poughkeepsie is a travel destination that is popular year-round, although April to November seems to be a popular time to visit. Walkway over the Hudson: This pedestrian and bike path was once a railroad bridge and today serves as a path that visitors can take while exploring Poughkeepsie. From the bridge, pedestrians and cyclists are granted fantastic views of the gorgeous Hudson River and the nearby Catskill Mountains. Home of Franklin D. Roosevelt National Historic Site and the Franklin D. Roosevelt Presidential Library: Though it is not in the city limits of Poughkeepsie, the Franklin D. Roosevelt National Historic Site in addition to FDR’s Presidential Library can be found in nearby Hyde Park. If you’re a history buff, taking a trip up to the former home and presidential library of US President Franklin Delano Roosevelt from Poughkeepsie will be quite the treat. Locust Grove: Overlooking the Hudson River, the Locust Grove is a National Historic Landmark Estate that serves as a museum and nature preserve. This estate is known as the former home of Samuel B. Morse, the inventor of the telegraph. Locust Grove is a masterful combination of nature, art, and history, all enveloped in an environment that will make you feel as if you’ve stepped out of the 21st century. The property’s grounds make a wonderful place for nature walks, where visitors can come and admire the beautiful gardens. 80 miles north of Poughkeepsie is New York’s beloved capital, Albany. Officially established as the first European settlement in New York, Albany has emerged as a center of higher education and a major city of Tech Valley, New York’s own version of Silicon Valley. New York State Museum: Known as the oldest and largest museum in the US, the New York State Museum is a center of art, science and history. The museum is a hodgepodge of many interesting topics, all carefully arranged into various exhibition spaces. Here, you can learn about everything from the Indigenous groups who lived in New York prior to the arrival of colonists to the minerals that are naturally found in the Empire State. Schuyler Mansion: This next destination will be particularly exciting to those either interested in the Revolutionary War or the Broadway musical Hamilton. (As an aside, checking out a Hamilton show back in NYC would be a great way to spend your weekend. Good luck grabbing a ticket though!) The Schuyler Mansion is the home of General Philip Schuyler, and a fantastic example of pre-war architecture. Call to arrange a tour, where you’ll learn about the history of the mansion and all who lived there. Washington Park: A walk through this park is literally a breath of fresh air. A quiet escape from the bustling city, Washington Park is a great place for a nature stroll. If you come here during the summer, make sure you stop by the Tulip festival. Rochester, also recognized as the Flower City and the World’s Image Center, is the third largest city in New York, following New York City and Buffalo. Given its gargantuan size, there’s no shortage of things you can find to keep you busy during your weekend getaway. Finger Lakes Wine Country: Take a trip out to this one of a kind attraction, where you’ll be able to admire the beautiful scenery and indulge in some world-class New York wine. With over 200 wineries and plenty of fun activities, the Finger Lakes Wine Country makes an ideal location for anyone wanting a stunning view, great company, and a nice glass of wine. National Center for The History of Electronic Games: This is for all you gamers out there. The NCHEG has amassed an impressive collection of over 20,000 games and consoles, most of which are in working condition and are able to play. Garden Walk: If you’re here during the summer, try going on America’s largest garden tour. This free, self-guided event will lead you to 400 stunning urban gardens. Museum of DisABILITY History: This unique museum details the history of the disabled and is dedicated to not only sharing that history but informing guests of the struggles faced. Niagara Falls: Of course, there is no way you can go to Buffalo without stopping by Niagara Falls. It’s only 20 miles away from Buffalo! This city, which is located on the Niagara River, is home to the famous Niagara Falls, the three waterfalls that straddle the border between the US and Canada. There are also a ton of related attractions for you to enjoy there as well, such as the Aquarium of Niagara and the Niagara Wax Museum of History. Per Se Restaurant: The NY Times notes this classy French-New American cuisine as a once-in-a-lifetime dining event. The restaurant offers breathtaking views of Central Park and a fabulous tasting menu, making it a dining experience you’re likely to never forget. Fekkai Salon: The go-to high-end salon to fulfill all your guilty pleasures of hair. Fekkai Salons have made a huge impact on the landscape of all things beauty, particularly with hair styling, treatments, and a plethora of top-tier shampoos and conditioners. It makes for a perfect girl’s day while the boys are at the Yankees game. Bergdorf Goodman: Handbags, handbags, handbags. This luxurious department store in Midtown Manhattan offers the latest designs from the world’s top brands – Prada, Gucci, Jimmy Choo, you name it. This should be your first stop to ensure you are beautified from head to toe and ready for your weekend in New York City. The movies always make moving to New York City look so easy. One second, the main character talks about how they’re doing to make it there. The next, they are living in a great apartment with an ideal job and busy social life. The truth is, it’s not easy making the move to the big apple. Here are some tips people should know before starting a life in the city. First, it helps to understand the city’s geography. New York is split into five different boroughs, each with their own personality. The boroughs then are split into individual neighborhoods. For example, Times Square is in Midtown, Manhattan. Generally, uptown means toward the upper part of Manhattan and the Bronx and downtown means the lower part of Manhattan into Brooklyn. This is important to remember in regards to transportation. When it comes to getting around the city, most people ditch their cars and take public transportation. New York has one of the best public transportation systems in the U.S. with the extensive subway system along with several bus routes. The MetroCard works on both buses and the subway, and there are kiosks throughout the city. If you plan on using the subway in your daily commute, consider getting a card that refills monthly. This saves money in the long run and gets rid of the anxiety that comes when funds are running low. Things in New York can change at the blink of an eye. This makes it very important to plan trips ahead of time. Try downloading one of the transit apps available for both iOS and Android devices that show the fastest way to get from point A to point B. While the subway is a great option to getting around, it is not the timeliest. Trains also run less frequently on the weekends. Luckily there are thousands of taxis that run through the city. Understand that not every taxi is the same. Green taxis cannot pick up passengers below West 110th and East 96th streets, or at the two city airports. Yellow taxis do not have the same restriction. If a car is absolutely necessary, try using Zipcar. They have many neighborhood locations and offer cars at a monthly or annual membership fee. Finding an apartment can be the most difficult part of moving to New York. The city has a notoriously low vacancy rate, and apartments aren’t always what they seem to be on Craigslist. Some people who have difficulty searching online rely on a broker. Brokers can save a lot of time and money apartment hunting, but they can be very expensive. Most charge around 15 percent of the annual rent. Finding an apartment without a broker is not impossible but be prepared to sign for a great deal as soon as possible. The best advice when apartment hunting is to really consider the location. Think of how close it is to the subway, the safety of the area and consider the quality of nearby schools or nightlife. One guarantee with New York is that there is always something going on. On any given night someone is taking the stage or a new art gallery is opening. Seeing all the city has to offer doesn’t have to be expensive either. TimeOut magazine regularly keeps tabs on the best free events going on a daily, weekly and monthly basis. New York is one of the most diverse cities in the world. This has led to a wide variety of cuisines opening shop. Head to Chinatown for some of the best dim sum in the city. Chinatown also has highly-rated Malaysian restaurants such as Nyonya and Aux Epices. Both Prosperity and Tasty Dumplings regularly have lines out the door. Rubirosa in Little Italy is where people go for a classic New York Italian meal. There are also several stands in the neighborhood that serve creamy gelato. Jackson Heights in Queens has some of the best Indian food in the city. And Harlem is where people go to get serious soul food either at Sylvia’s or Melba’s. Contra to the gruff attitude associated with the city, New York is actually a great place to meet people. Many residents are new to the city and just as eager as you are to make friends. Meetup.com has hundreds of groups organized around people’s interests. Some organizations also host networking events in the city. ZogSports is a very active league in the city with more than 100,000 members. People don’t have to be super competitive to join, and the league partners with local restaurants and bars for happy hours after the games. While the city-life is great, it is recommended to get away every once in awhile. Central Park is a great place to start. Its size and landscape makes it so you forget there are skyscrapers only a few blocks away. Another good place to escape is The Cloisters museum in upper Manhattan. Parts of the museum have been reconstructed based on their original locations in Europe, transporting the visitor to another era. For longer vacations, take a train out of the city to the Adirondacks or use the Empire Service for scenic views of the Hudson River. The New York City real estate market is always changing, creating new trends, and setting real estate industry standards. Between new brokerages on the rise and different techniques for selling in the marketplace, New York City real estate has seen some changes in the past couple of months. Sellers Agents, also known as listing brokers, are using new more personalized ways to sell properties. As a listing broker in New York City real estate, the job isn’t to present the apartment but to tailor the experience for every potential buyer who walks in to take a look at the apartment. Since “not all flaws are equal in the eyes of buyers, savvy sellers can turn some of those quirks into positives, with the right spin – and the right price” (1). Christie’s will soon be launching its New York City offices. Christie’s is known for it’s vast international address book. However, when most people invest in real estate they seek out the local expert. Real Estate as a whole is very location sensitive and specific, so having an agent who knows the industry and a particular niche market well is advantageous to the buyer. Local firms like Corcoran will likely continue to dominate the market, despite Christie’s reputation (2). While the Manhattan market always sees a lot of activity, especially when it comes to residential properties, most if not all of the existing land has been developed. This leaves for most new developments to take place in the outer boroughs (3). The Real Deal has reported that 9 out of 10 of the largest developments taking place over the next few months and year are located in Brooklyn, Queens, The Bronx, & Staten Island (3). 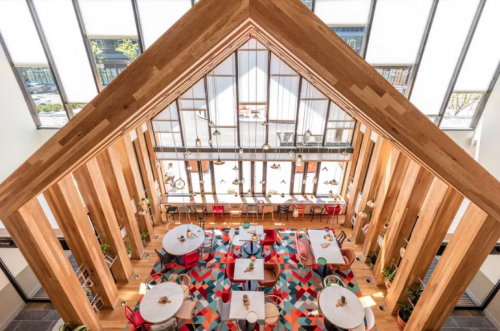 Since the last quarter, many developers have been focusing on mixed-use property, in both new developments and in older, more historic properties. Residents want to have the convenience of and access to other amenities like community facilities, parking garages, as well as retail space. Many companies are also taking historic buildings, preserving the character and the facade, and turning them into mixed used buildings. Lois Weiss of the New York Post writes “Gerard Longo, principal of Mettle Property Group, is building a five-unit apartment building with a retail space at 70 Henry St., where the Brooklyn Heights Cinema used to be. Designed by Morris Adjmi, 70 Henry actually restores the brick facade of the old cinema, which dates back to 1896; because it’s in a historic district, Adjmi’s design was approved by the LPC in 2015” (4). The past couple of months have proved that once again, New York continues to be the dominant market in real estate investments. As the market shifts and grows in popularity, there will likely be a rise in demand in this upcoming fourth quarter. And with a rise in demand, comes a rise in price. 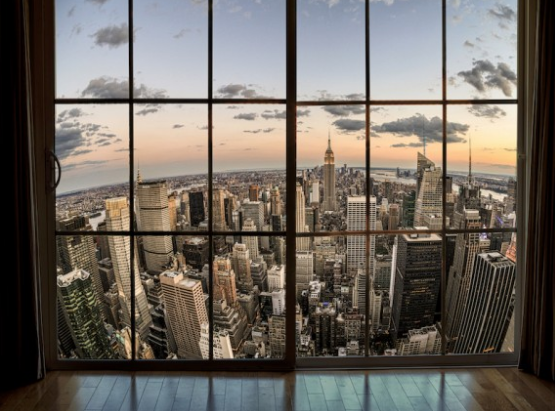 What is next for New York City Real Estate? New York City Real Estate Developers have nearly exhausted real estate and land on new ground in Manhattan and much of Brooklyn. So where will the next trends in the industry be? What areas in New York and the boroughs could see a new rise in real estate development and renovation? With technology at the forefront of everything in business, how will the real estate industry change or adapt? Well, to start, developers are eagerly expanding into different boroughs to develop the future of real estate. The New York Times reports that The Bronx could be the next place where buyers seek to go to get “everything on their wishlist.” In the article, it states that The Joyners had looked in both Brooklyn and Queens before heading up to The Bronx” (1). One of the factors that is key for buyers is to be close to transportation options. This gives buyers the flexibility that they need and the convenience they are looking for. Real Estate moguls will often follow transportation lines when investing in land to build on, so the property itself becomes more accessible, more valuable, and more likely to gain attraction from prospective buyers. The Real Deal reported that in the past quarter, sales are up in both Brooklyn and Queens. In the published report by E.B. Solomont, she writes “The number of sales in Queens jumped 17 percent during the quarter, compared to the prior year, followed by Brooklyn, with 15 percent growth, the Real Estate Board of New York reported. Sales in Manhattan, the most expensive borough, rose just 6 percent” (2). In addition, the report states that “Brooklyn, which saw prices jump 17 percent, is getting closer to changing that calculus. The borough’s median price hit $775,000 during the second quarter. In Queens, the median price rose 7 percent to $481,000, while citywide the median price rose 8 percent to $630,000” (2). Antonia Watson of Watson International has a great investment-worthy apartment located in Bushwick, Brooklyn. 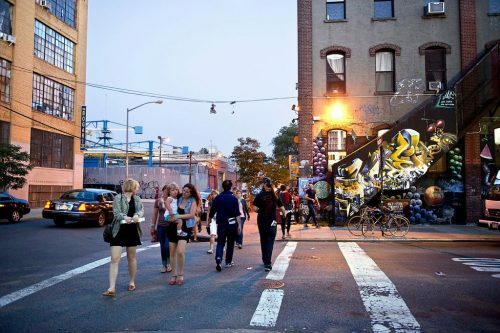 Bushwick has seen a lot of traction and attention recently from real estate developers, potential buyers, and those looking to reinvent the neighborhood (through restaurants, bars, and shops). 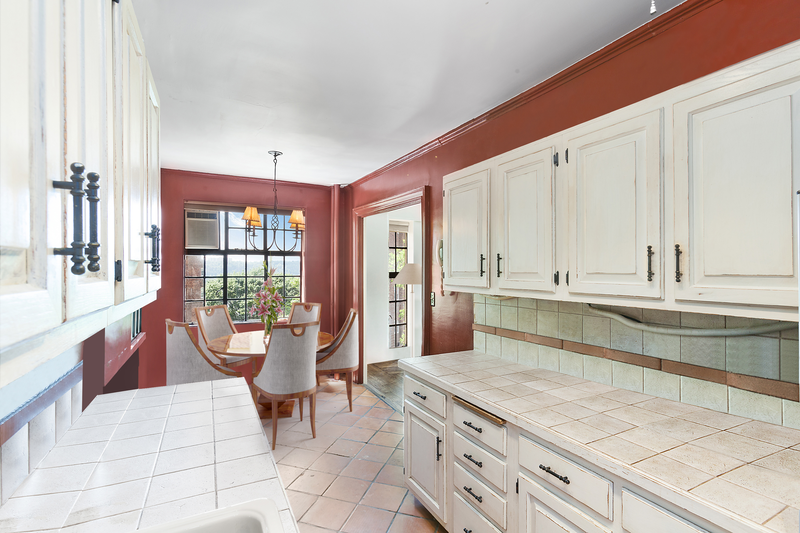 It is a great time to buy because prices in Brooklyn will likely continue to rise. The bidding war that she received on her listing is testament to the trend for investors and developers to seek properties farther out in the boroughs where they anticipate a promising financial upside and they can visualize the future of the neighborhood. Technology has changed the way consumers purchase most everything, but it has yet to drastically shift the way people purchase real estate. Until now. New York Daily News reports that international real estate and startup tech companies are beginning to explore the world of virtual realty as a way for potential buyers to look at properties with ease. Instead of having to attend multiple open houses, buyers can now explore the realm of the virtual, even before the development is complete. Nest Seekers teamed up with a local NYC virtual reality company Mythic VR to “let potential buyers explore every nook and cranny of properties under construction. Users put on a headset that fully covers their eyes and move hand controllers to walk around the property” (3). Both companies wanted to give users the most realistic experience as possible. Purchasing a home is a very personal thing, so software developers were careful to ensure that the amenities were more tangible. NY Daily News reports that “the rendering is so exact that users can physically turn on light switches and pull up the blinds. During the experience, they can also check prices and other details about the apartment” (3). A source from Inman highlights the importance of technology in the industry’s future. Amber Taufan for Inman writes that “mobile [phones are] still ultra-hot and marketing automation is still on the rise, but real estate leaders aren’t as bullish on the future of virtual reality (VR) or artificial intelligence (AI) emerging technology in the industry.” In a semi annual Thought Leader Servey conducted by Inman, both marketing automation and virtual reality are the “key challenges top real estate industry executives face” (4). Whether or not the leaders in the real estate industry will embrace these new trends has yet to be determined by the demands of the potential buyers. Ultimately, no matter how advanced technology becomes, the industry consensus seems to be that with the exception of overseas site unseen deals, most buyers want to see properties in person before signing on the dotted line for them. Billionaire’s Row, also known as 57th Street in Midtown Manhattan, is the creme de la creme of ultra-luxury condominiums in New York City. Apartments on this famous street are sought after by large corporations, foreign investors, real estate moguls, and high net-worth individuals. Billionaire’s Row is by far the most expensive area in New York City real estate. 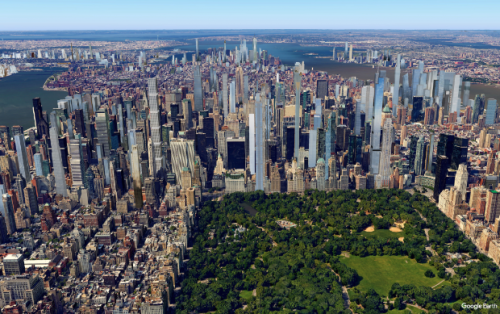 Beckie Strum of Mansion Global reports that “The average price on Billionaire’s Row hit $7,268 per square foot” which makes the Midtown area of Central Park by far the most expensive area for real estate development in Manhattan (3). In the past couple of years, while it seems that development in some neighborhoods in New York City leveled off, Billionaire’s Row is the exception. Mansion Global reports that “the number of new development units in Manhattan rose 34.6% in the second quarter over the same quarter last year, to nearly 6,000 units” (1). 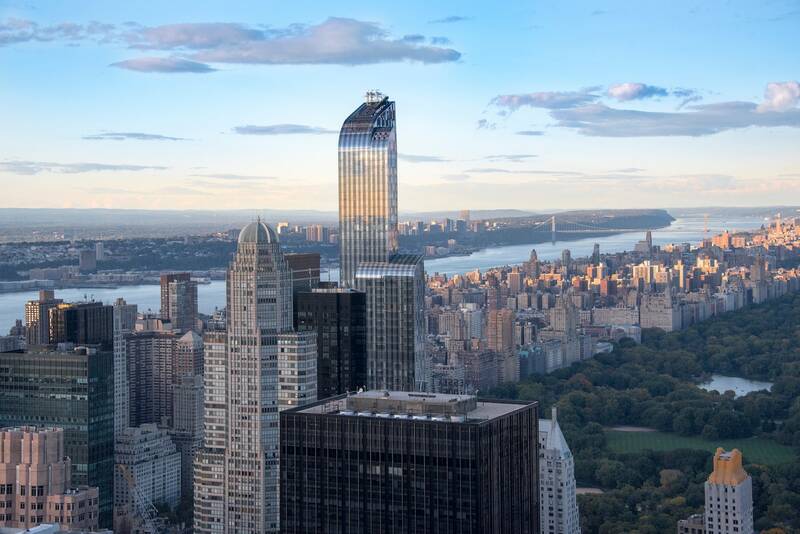 This was due in large part to a spate of new project approvals, including the trifecta of luxury apartments that comprise Waterline Square on the far West Side, and Central Park Tower, planned to be one of the tallest buildings in the Western Hemisphere on Billionaire’s Row. Despite the new developments, some ultra-luxury apartments in New York City have been selling for much below their asking price, however, median sale prices are overall still increasing year-over-year, in particular having made a large leap since 2016. The Corcoran Report recently released the statistics that year-over-year condo sale prices in Manhattan have increased 10% and co-op sale prices in Manhattan have increased 12% since the same time a year ago. Also important to note however is that in the ultra-luxury sector north of $10M, apartments have been staying on the market for longer periods of time, and as such property managers and real estate developers alike have begun to lower the price point for these apartments to offset the slowing demand and to attract more buyers. Pertaining in particular to the ultra-high-end market, The Corcoran Report recently released that the market share of apartments selling in the $10,000,000+ category fell from 11% in Second Quarter 2016 to just under 4% this quarter (1). While this does reflect a very particular circumstance that may present an exception to the rule – particularly since the vast majority of the ultra high end deals in the $10M+ category tend to be all cash with no financing involved – this instance could force real estate developers to take less risks. Katherine Clarke of The Real Deal quotes Leonard Steinberg, “It’s an isolated incident, but symptomatic of a bigger story. Foreclosures used to be the domain of people who were barely scraping by. This shows it can apply as equally to the very wealthy” (4). 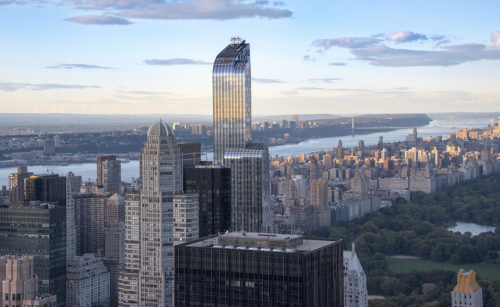 In addition, the article reports that “coupled with a series of unprofitable resales, the impending foreclosure — the second at One57 in many months — has cast a shadow over the onetime poster child of the luxury residential boom. And it raises further questions about the health of Billionaires’ Row” (4). All this being said, however, with so much wealth continuing to be poured into Manhattan real estate – specifically the 57th Street corridor – it is more likely that the street with continue to appreciate in value over time, despite this quite unusual foreclosure. The investing market can be a very personal thing, especially when it comes to real estate. In the New York City market, buyers and prospective investors have very different tastes, needs, and desires for use of properties. Even within residential property, there are often many different directions buyers lean toward when investing. Some buyers are looking for a one of a kind apartment that sets it apart from others in its area. Steve Gold weighs in to say that his buyers look for “uniqueness.” That is, “If there is something different about the apartment that you can’t replicate, especially in this market where you have a lot of new inventory, you can command a better price for it because you know the buyer can’t be like, well then I’ll just buy the neighbor. Unique features include protected use, outdoor space, protected views” (1). In order to appeal to the current investor, the agent has to focus on tailoring the neighborhood, space, and amenities to fit the buyer’s current needs. More or less, when buildings have amenities that are over the top, the property managers are incentivizing future residents and attracting buyers that are accustomed to that lifestyle. Instead of each resident to go out of their way, the building is essentially providing them an in-house “staff.” Some buildings even have in house chefs: Amy Plitt of NY Curbed writes “chefs will teach gardening classes for those who’ve ponied up for the privilege of living there. The wine shop, meanwhile, will have an on-demand sommelier who can work with residents on private parties and other events” (2). New York City real estate will always be on the cusp of anticipating investor and consumer needs. It will be interesting to see how these luxury amenities affect the demand in the buyer’s market. estate. Home and condo sales are remaining strong through value and price increases. NBC writes “The total monetary value of completed transactions in the first quarter actually rose 15 percent, to $12.3 billion. The number of sales rose 2 percent to just over 12,000. Condo sales drove the market, with record prices in Manhattan, Brooklyn and Queens. The average price of a condo in Manhattan topped $3 million in the first quarter, up 27 percent from a year earlier” (1). 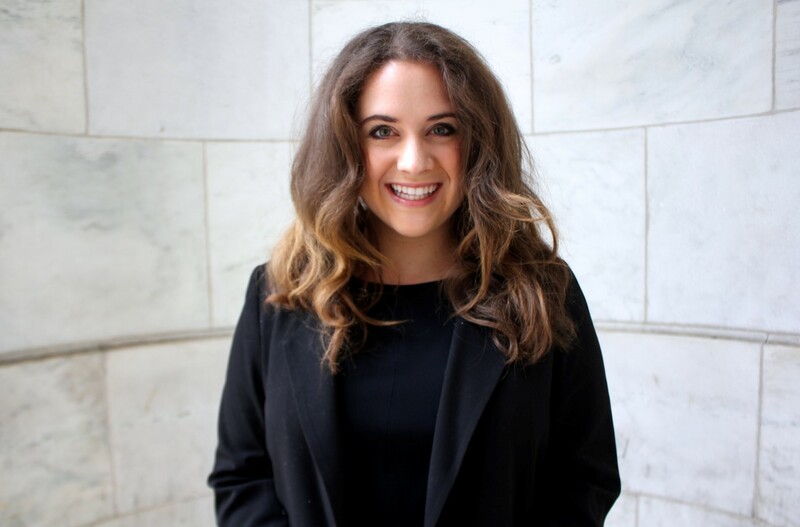 AM New York writer Heather Senison interviews different real estate experts in the field to weigh in on the advantages of purchasing real estate in New York. Senior Economist at Street Easy Grant Long says “If the [value of the home] increases, that is increasing your wealth,” he said. “Similarly, every time you pay down your mortgage that’s effectively increasing your assets” (2). Long continues to say that the market still remains competitive in the boroughs of Manhattan and Brooklyn). More specifically, in areas where the subway is being expanded and neighborhoods are becoming increasingly populated (Upper Manhattan as well as parts of Eastern Brooklyn). NY Curbed provides some insight into the stats for the pricing after the first quarter. Emily Nonko writes “sales prices ended up high for the quarter —mostly because “legacy” contracts from up to two years ago caused record closing prices. Compared to last year, the price per square foot for all Manhattan sales increased 7 percent to $1,760 (a record), while the average sales price rose 7.7 percent to $2,098,459 (also a record). In the luxury market, the median price was was $6,567,712, up 9.5 percent. For a new development unit, the median sales price surged 44 percent to $2.965 million” (4). The numbers clearly show that new developments in New York City are by far the most sought out after properties, especially when in comes to the luxury market sector. The Manhattan market has continued to show strength, making it a great time to invest in property. AM New York reports the rise of new developments and boom in certain areas of the market. “New developments include residences in the massive Hudson Yards project on the far West Side and One Riverside Park in Lincoln Square. They’re booming in Brooklyn too, with buildings like the Oosten at 429 Kent Ave. in Williamsburg and the Pierhouse at 90 Furman St. in Brooklyn Heights. 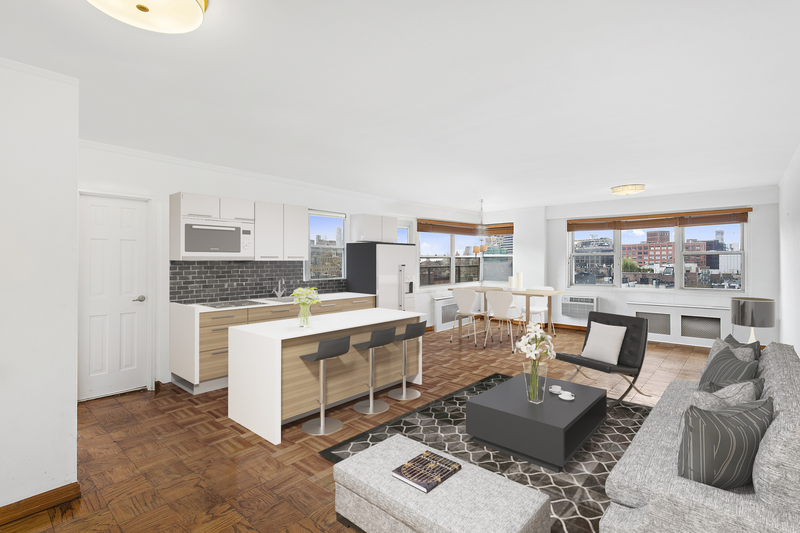 Queens is also experiencing growth, with new offerings including The Harrison at 27-21 44th Drive and the Grand at Sky View Parc complex in Flushing” (3). Seeing as new development continues to make for a competitive market, there will be much activity in the real estate industry in the near future as demand continues to rise. Prices in New York will still be on the rise (i.e. the market value and property value of anything purchased to this day will increase). Johnathan Miller says in NY Curbed that “With a slow rise in resale inventory, and fewer bidding wars, we could see a little more sales volume in 2017 despite rising interest rates” (4). Those seeking real estate investment should act now to take advantage of rising prices. Investors have always had their eye on New York real estate. Strategically speaking, they are waiting for commercial and residential prices to drop before they make their move. This requires much foresight and analytics in order to make the best investment decision given the market conditions. In an interview with the New York Times, Harry Mackelowe comments about the state of the New York real estate market and how it will affect the demand for condos. Mackelowe is a real estate developer and expert that has been in the business for over sixty years. “The upper end of the market is justifiably slow,” Mackelowe says (1). This means that prices are starting to cool because of the large supply of condos (specifically in the luxury market sector). Investors should take advantage of the market now, before the demand drives up condo prices again. In an article titled “The biggest price cuts on luxury pads this week,” Miriam Hall of The Real Deal magazine discusses the price cuts as seen in the luxury condo market sector. 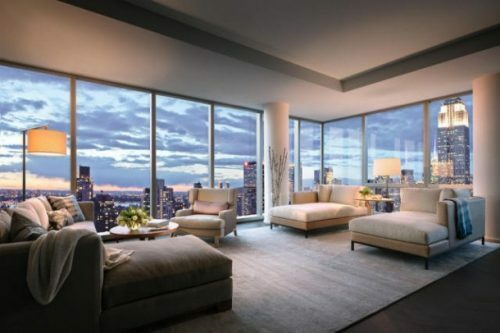 For example, one Penthouse in the Nomad neighborhood has been reduced by 20 percent, making the price tag $15 million. The seller has also added amenities to the property, to further entice buyers and attract reasonable offers for the condo. With the Trump administration in full place and the stock markets doing well, the value of real estate could soon rise as well, making for a wise investment decision today. Ari Harkov, a New York City broker writes regarding the effects of the election so far that “many affluent New Yorkers will benefit in the short term from looser regulations and high stock prices, and others will psychologically seek a sense of normalcy through buying and selling real estate” (3). It is in the luxury market specifically, that buying real estate is a rather safe investment, because of the regulations put into place. This will encourage buyers looking into ultra-luxury condos, commercial spaces and real estate developments to begin purchasing real estate once again. Overall, this will stimulate the economy and encourage buyers on price points to invest in real estate. And we can see that it has already begun. When comparing 2016 to the start of the new year 2017, there have been a few similarities in regards to the luxury market sector. Ari Harkov of the New York Daily News writes, “One of the dominant real estate stories of 2016, the $10 million and up market in New York City continued to remain oversupplied, with extensive price cuts and substantial negotiations. Overall, that market has fared better than many anticipated” (3). It is a great time Harkov later adds that “we will begin to see more public price cuts in this market in 2017. Some developers and sellers will have to sell, others will do so for fear of future softening, and these reductions will create some liquidity in this market as buyers will embrace new pricing when there are significant reductions” (3). Overall, this will be a great way to stimulate the economy as well as boost the real estate industry in New York. The future of real estate specifically is very promising with President Trump in the White House. Steve Cuozzo of the New York Post quotes Cushman and Wakefeild’s President John Santora: “If there’s an easing of regulations, we’ll see growth by financial institutions, especially in New York,” Santora said. “And that will be good for New York” (2). The growth of financial institutions and real estate are often paralleled, especially in times where there is a transition of power. Since the stock markets have been doing well, naturally the real estate industry is following, as always. “Commercial property-related taxes [alone] brought in $20.4 billion last year, according to the Real Estate Board of New York — enough to pay for all the city’s teachers, cops, firefighters and other municipal workers” (2). This evidence clearly shows that the real estate industry has been an economic pillar for New York and the industry will continue to be a buyer’s market as real estate investments in New York flourish. There is no doubt that the invention of the internet has completely changed the real estate industry, especially in New York City. What is already a fast-paced market and profession has become even quicker. Transactions are now seen across multiple platforms in ways that fifty years ago no one thought possible. Real Estate agents all over the world are utilizing the advantages that technology has provided. With social media, websites, multiple listing services, online publications and email communication it is a lot easier to keep in touch with a customer base, reach new potential clients, and gain exposure for either yourself or a real estate investment. 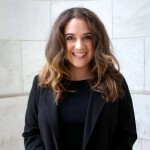 As an agent, connecting to people and creating a brand has never been more accessible (yet can be challenging if unaware of potential client reach and the optimal consumer). Social Media can be a huge tool in selling new properties, and it directly affects the real estate industry in New York City. With social platforms, word travels fast, as articles and photos are easily shared within seconds through a couple of clicks, a re-tweet, or a direct message. A recent article by CNBC highlights the importance of having a strong audience base for selling apartments (it also helps to have a technology-saavy client base). “Real estate agents show followers inside apartments for sale or rent across the city. Those looking to rent or buy can send agents messages arranging viewings or challenge them to find apartments to suit their budget, location and size needs” (1). The article also shows just how fast-paced the real estate industry has become since the rise of technology. New Yorker Dolly Meckler tells CNBC that there are people “who [have] lost apartments in minutes just because their applications came in two minutes after somebody else’s. So the beauty of ‘Snaplistings’ is that you can DM agents in real time saying ‘I want to come and see this place, where are you? I will come and meet you’ ” (1). This shows the sense of urgency of both the industry and the generation. The tech bubble as a whole also has an indirect affect on technology. Konrad Putzier from The Real Deal Magazine writes that most industries now are dependent on technology because it has become an integral part of everyday life and business transactions. Not only that, but the real estate market in New York is also directly affected by the financial services markets. “It’s universally acknowledged that the health of the financial sector is a big factor in the health of the New York real estate market as a whole” (2). According to a study conducted by the Center for an Urban Future and the Department of Labor in New York, “It’s just night and day how much more important the tech sector is to the city’s economy today compared to 10 or 15 years ago. Tech is one of the key drivers of economic growth today,” said CUF’s executive director Jonathan Bowles” (2). Even though technology is a major player, the New York City real estate industry is as independent and stronger than ever. The first quarter of 2017 looks to be a strong one in both the real estate and finance industry as technology continues to be one of the driving forces for sales and transactions. As 2016 has officially been put behind us, there is no doubt that there has been a dramatic shift in pace and demand for New York City real estate. 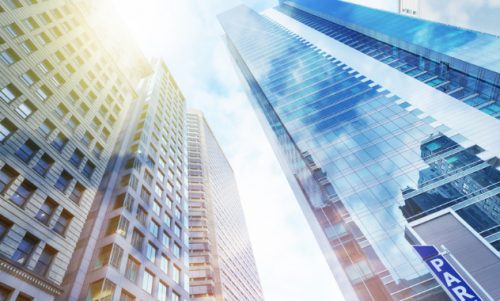 Between the after-effects of the Brexit vote and the outcome of the 2016 Presidential Election, investors have seen a surprising positive turn in the real state industry. 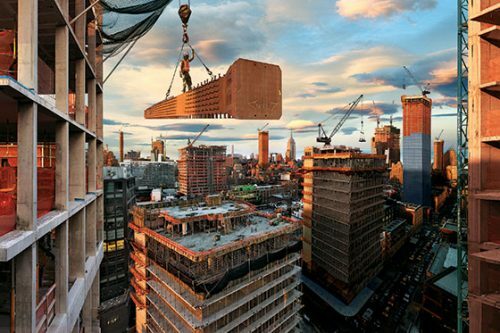 This past year has seen much demand for both development and investment in New York City real estate. NBC New York highlights that “a total of 1,102 properties had contracts signed for $4 million or more this year, down sharply from 2013-2015 but still higher than 2012, before the condo boom started” (1). This proves that even in wavering economic times, real estate continues to prove itself to be a strong and wise investment for the future. In addition, it seems that economic speculation shows 2017 to be another prosperous year in real estate investments. One of the predictions for the real estate industry in 2017 concerns the subject of foreign real estate investment. Steve Couzzo of the New York Post writes “The Trump Effect: Residential developers are praying, and we’re certainly hoping, that Donald Trump’s rise to the presidency will encourage, rather than scare off, continued foreign investment in high-end condo apartments” (2). That way, the current surplus of condos that are for sale will equal the demand the investors have. This will allow developers to continue developing luxury condos to keep up with the market’s demand. This will further stimulate the economy and create jobs both in and out of the real estate industry. Another prediction is that the interest rates will continue to rise – which we have already seen implemented by Obama in the fourth quarter. Amy Zimmer quotes Mdrn. Residential’s Zach Ehrlich: “More sellers will adjust pricing to ensure they don’t get caught in receding sales market,” he [Ehrlich] said. “More buyers will lock-in and pull the trigger given upward trend of rates” (3). This will create a more competitive market among prospective investors, which will increase the return on investment in New York City real estate. Looking back on 2016, the outer boroughs saw a surge in condo prices, as developers focused on areas in both Brooklyn and Queens. Comparatively speaking, investing in a condo in Manhattan is becoming more attainable to investors who were looking elsewhere. In 2017, the Manhattan real estate market could attract more investors than last year. Zimmer writes “as pricey new developments floods the market in Long Island City and parts of Brooklyn, Manhattan might not look too bad anymore, brokers said…migration will go in all directions, said Eric Benaim, CEO of Modern Spaces” (3). Olshan Realty states that “there is enough demand to sell apartment sight unseen. Olshan [also] said 58 percent of all condo sales were new construction sold off just a floorplan” (1). This further confirms that there is a strong demand for real estate as a solid investment and that the industry is once again stable after the 2006 housing crisis. Overall, despite market fluctuations, real estate remains a stable and wise investment: especially in New York City.